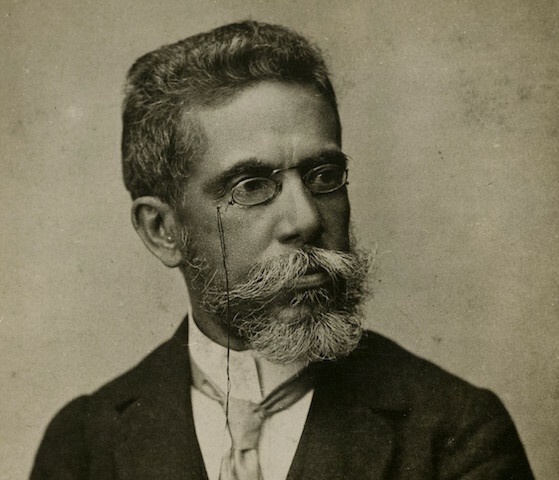 Machado de Assis, 1896 (detail). Image from the Fundação Biblioteca Nacional via Wikimedia Commons. 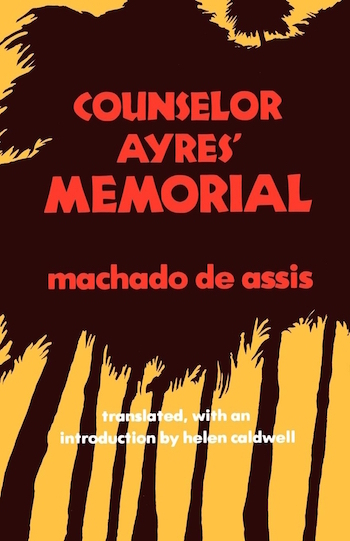 The final novel of the Brazilian writer Joaquim Maria Machado de Assis, Memorial de Ayres (1908), is infused with saudade. It's a difficult concept to translate; it suggests a deep longing or melancholy occasioned by irretrievable loss. It's a term with so many layers of meaning that it has its own Wikipedia page. Over the course of the novel Machado uses the word more than 30 times, including on both the first and final pages. Each time it appears in a different context and has a slightly different nuance. Well, today marks a year since I returned from Europe for good. What reminded me of the date was that as I sat drinking my coffee I heard a broom peddler crying his wares in the street: "Brooms for sale! Dusters! Come buy dusters!" I have heard the cry other mornings but this time it brought to mind the day my ship touched port, and I, pensioned off, came home to my own land, my own Rua do Cattete, my own language. Yes, it was the same cry I heard a year ago, in 1887; perhaps it was the same throat. During my thirty-odd years of diplomatic service, I occasionally came to Brazil on leave. Most of the time, I lived abroad, in various lands, and it was no small stint. I thought perhaps I would not succeed in accustoming myself once more to the life here. Well, I did. True, I still remember faraway things and persons, amusements, landscapes, foreign ways, but I do not die of longing for any of it. Here I am, here I live, here I shall die. Fancy that, it's exactly a year to the day since my return from Europe. What put me in mind of the date was hearing the cry of the street vendor selling brushes and dusters while I was having my coffee: "Brushes-o! Dusters-o!" I hear it most mornings, but on this occasion it reminded me of the day I disembarked here on my retirement, when I returned for good to my own country, to Catete and my own native tongue. It was the same cry I heard a year ago in 1887, possibly even from the same mouth. During my thirty-odd years in the diplomatic service I sometimes came to Brazil on leave, but most of my time was spent in different countries overseas. I imagined I would end up being unable to accustom myself to life here again. But I did. To be sure, I often think of distant friends and places, customs and pastimes, but I can't say I miss them. Here is where I am; here I live, and here I shall die. The tone of these two passages is strikingly different. Caldwell's is measured, reserved and somewhat formal; it's easy to imagine this as the voice of a retired diplomat. Scott-Buccleuch's is chatty, outgoing and informal—perhaps this is the voice of a retired diplomat who is relishing his chance to finally unbutton a little. But which is closer to Machado's original? Although I don't speak or read Portuguese I'm going to try to answer this question. That may sound ludicrous, but I don't think it's impossible. After all, I've previously compared English translations of major works of literature in other languages in which I am not fluent, Pushkin's Eugene Onegin and Flaubert's Madame Bovary. For some, a hopeless sense of inadequacy to the task might be inhibiting, but not, evidently, for the present writer. Let's start with the title, Memorial de Ayres. In her introduction Caldwell notes that the title "means both Ayres' memorial (of and to himself) and a notebook or diary" (p. v). It actually has a triple meaning: according to the Shorter Oxford, "memorial" is also a term for "informal diplomatic papers" (and Ayres is an ex-diplomat). But no modern English speaker would refer to a journal or memo-book as a "memorial," and the specialist meaning is obscure, so perhaps inevitably the layers of meaning are lost. This tendency to at times tolerate a slight awkwardness in the service of faithfulness is characteristic of Caldwell's translation. Scott-Buccleuch's choice for a main title, The Wager, relates to an incident in the book—Ayres' sister bets him that the widow will not remarry—but it is not Machado's title. Scott-Buccleuch's subtitle, Aires' Journal, would have been fine by itself, except that Aires is a Spanish spelling, I think, not Portuguese. A somewhat cavalier approach to Machado's text and a willingness to make his own (generally unnecessary) insertions, deletions and other edits is one of the major faults of Scott-Buccleuch's translation. Machado's first sentence is "Ora bem, faz hoje um anno que voltei definitivamente da Europa." A more or less literal translation might be "Well now, today makes a year since I came back once and for all from Europe." Caldwell's "Well,..." seems closer in tone to Machado's original than Scott-Buccleuch's flippant (and jarringly British) "Fancy that." And Scott-Buccleuch leaves out entirely Machado's intended sense that Ayres' return is final (voltei definitivamente); in his version Ayres speaks only of his "return." Caldwell properly includes "for good." We're one sentence in, and already it's not looking good for Scott-Buccleuch. The street vendor's cries are altered by both translators, for reasons unclear. Caldwell has "Brooms for sale! Dusters! Come buy dusters!" This seems a bit wordy for a street vendor, although it's actually fewer syllables than in Machado's "Vae vassouras! vae espanadores!" Scott-Buccleuch's rendering seems more like an authentic 19th-century street-cry, and closer to Machado's rhythm: "Brushes-o! Dusters-o!" Except I believe that "vassouras" means "brooms," not "brushes" (which is "pincéis"). I would translate it as "Brooms here! Dusters here!" In the next sentence Machado writes "Costumo ouvil-o outras manhãs, mas desta vez trouxe-me á memória o dia do desembarque, quando cheguei apozentado á minha terra, ao meu Cattete, á minha lingua." I would translate this as "I've heard him on other mornings, but this time brought back the memory of the day I came ashore, retired, returning to my land, to my Cattete, to my language." Caldwell has "pensioned off" in place of my "retired"; I think her choice offers the nice sense that after his long service Ayres now feels discarded, a bit useless, and its sound even suggests the Portuguese word apozentado. Scott-Buccleuch translates apozentado as "on my retirement," and then adds the phrase "for good" to "when I returned to my country." (It's not clear why he has moved this phrase from the first sentence, where Machado placed it.) Scott-Buccleuch also doesn't provide any context for "Cattete." To be fair, neither does Machado, but Caldwell's "Rua do Cattete" lets us know without doing any violence to the original that Ayres is referring to the neighborhood where he lives. Finally, Scott-Buccleuch renders "minha lingua" as "my own native tongue," but "my own native" is redundant—"my native tongue" would be better. O mais do tempo vivi fóra, em varias partes, e não foi pouco. Cuidei que não acabaria de me habituar novamente a esta outra vida de cá. Pois acabei. Certamente ainda me lembram cousas e pessoas de longe, diversões, paragens, costumes, mas não morro de saudades por nada. Most of the time I lived abroad, in various places, and not for short stretches. I doubted whether I would be able once again to get used to the different way of life here. But I did. Certainly I am still reminded of distant things and people, amusements, places, customs, but I don't feel much nostalgia for anything. Caldwell translates e não foi pouco as "and it was no small stint," the last word of which nicely suggests a period of work rather than pleasure (although I might have rendered it "and not for short stints"). Scott-Buccleuch simply omits it. And in the following sentence he translates pessoas as "friends" rather than "people," which makes Ayres' next statement (that he doesn't miss much) seem a bit odd: if you'd left friends behind forever, wouldn't you miss them? Also, Ayres couples "things" with "people," and puts "things" first; in fact, he's telling us that he didn't form friendships while he was abroad. Scott-Buccleuch omits "things" (cousas) from his translation entirely. The final sentence of the passage is "Aqui estou, aqui vivo, aqui morrerei." It might be rendered into English as "Here I am, here I live, here I'll die." Caldwell's version is "Here I am, here I live, here I shall die," which works well enough. Scott-Buccleuch translates this sentence as "Here is where I am; here I live, and here I shall die." That "Here is where I am" clanks on the mind's ear, while the insertion of a semicolon in place of a comma after that phrase, together with the unneeded "and" before the final phrase, destroys both Machado's rhythm and his elegant parallel formulation. So after two paragraphs I think we can come to a pretty conclusive judgment. 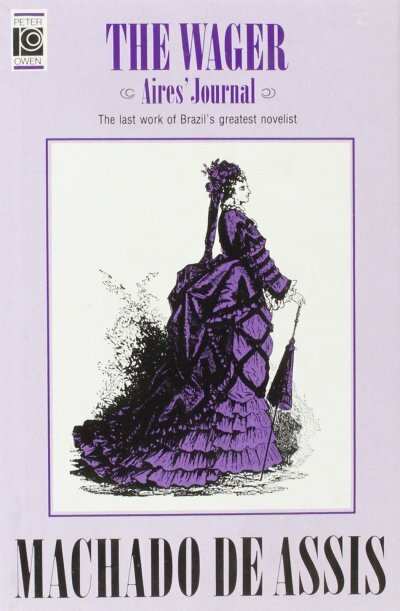 While Scott-Buccleuch was awarded the Machado de Assis Medal for his work in making Machado known to an English-speaking audience, Caldwell is clearly the superior translator. Her renditions are more faithful to Machado's text and tone, and better convey something of the narrator's formality of style. To test this judgment, here are the final sentences of the novel. (Don't worry: no spoilers.) Ayres goes to visit a devoted old couple, Aguiar and Dona Carmo. But after entering their garden and spotting them sitting on the porch, gazing silently at each other, he is brought up short. He withdraws quietly without greeting them after seeing in their faces something he can't name or describe. Machado writes, "Queriam ser risonhos e mal se podiam consolar. Consolava-os a saudade de si mesmos." One translation might be, "They seemed to want to smile [or "laugh"], but could only try to console each other. They were consoling themselves with wistful memories of their past together." The final sentence turns on the concept of saudade di si mesmos, or "nostalgia for themselves." This is not self-pity, but the couple's wistful sadness on thinking of their past together and the inevitable losses due to the passage of time. Caldwell, unusually for her, chooses to flesh out Machado's spare phrases: "They wanted to laugh and be merry but they could do no more than console themselves—console themselves with the sweet melancholy remembrance of their own love." Although the phrase "of their own love" is only implied in Machado, by adding it Caldwell captures the reflexive quality of the couple's memories: they are thinking about their early love, their courtship and the first days of their marriage, now long in the past. Scott-Buccleuch renders this as, ". . .they were trying to smile, but barely succeeded in comforting each other. Memories were their only consolation." In the final sentence he reverses the order of the words, so that the novel ends with "consolation" rather than with the couple's remembrance. And his translation of saudade as "memories" flattens the emotional affect disastrously. Portuguese has other words for memories; saudade implies much more, none of which Scott-Buccleuch tries to express. They were letters, appointments, minutes, accounts, an inferno of remembrances that would be better not to have been found. What would I lose by not having them? I no longer cared about them; I probably would not miss them. . .I am resolved to order the papers burnt, even though it will pain José since he imagined he had found great mementoes and memories. I could tell him that I have other old papers in my head, which never get burned up, or lost in old suitcases; but he would not understand me. Alan Cheuse, "Brazilian Master." The Nation, 26 November 1973, pp. 569-570.